Last year I did a photo shoot for a friends Car in India. 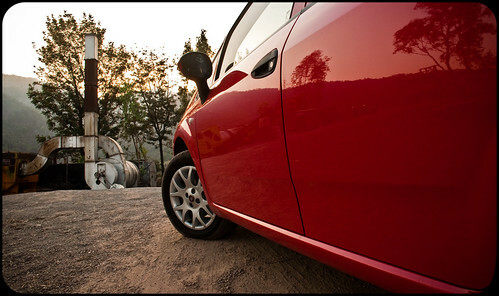 We drove towards Dagshai and took some photos of his Fiat Punto. You can see the photos here . Few days back the official Fiat Punto Blog contacted me via Flickr and wrote a very nice note on their Blog . Do Check it out. The blog is in Italian so you would have to use Google Translate.